Hiking, camping, gear and whatever other outdoorsy things I get up to. I’m a Cover Model! My friend’s hiking book. I’ve mentioned before that I only discovered my passion for hiking in the last few years and the main person I have to thank for that is my dear friend Chloë Ernst. 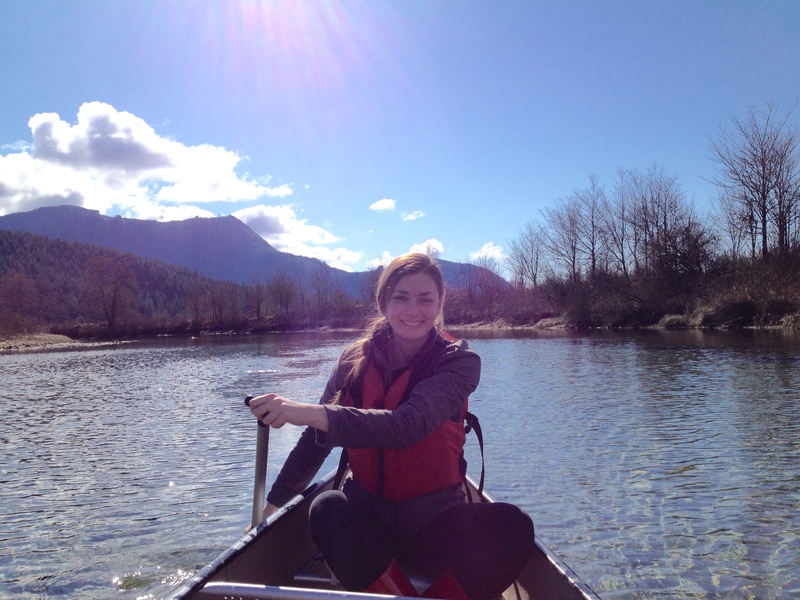 Chloë paddling towards Widgeon Falls. 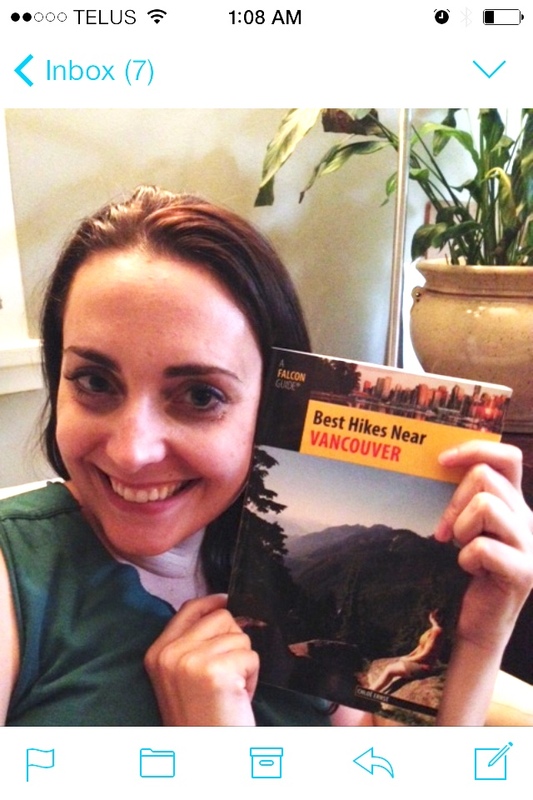 She took on a contract to write a book of hikes near Vancouver and invited me along to do a few of them with her. I wasn’t in very good shape at the time so it was pretty tough at first. Luckily for me, Chloë was very patient with me, and also very good at picking hikes that would challenge me enough for me to make progress, but not be so hard that I would be turned off hiking altogether. 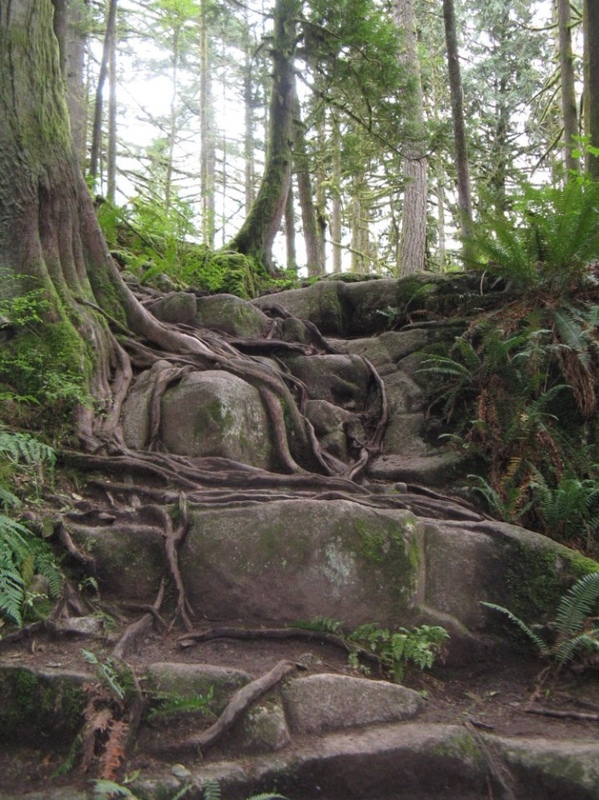 The first hike that really made me fall in love with hiking was Upper Shannon Falls near Squamish, BC (Distance 7.5km, Elevation gain 470m, Intermediate). 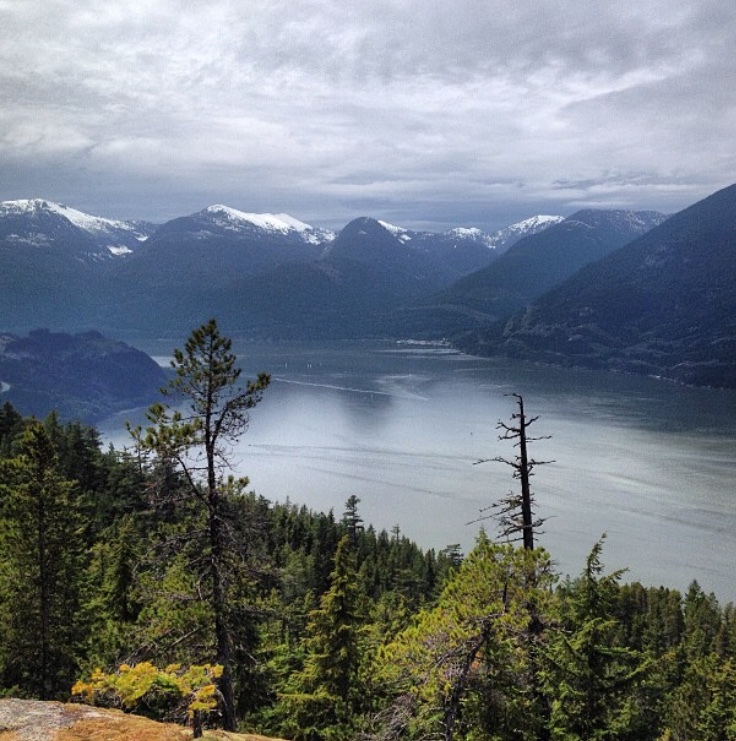 When we reached the top and I looked out over Howe Sound, it…changed me. I was in awe and knew I needed more of this in my life. Plunking down and drinking in the rugged beauty of nature while eating a well deserved snack in the sun made me so happy. I was addicted. View of Howe Sound from Upper Shannon Falls viewpoint. 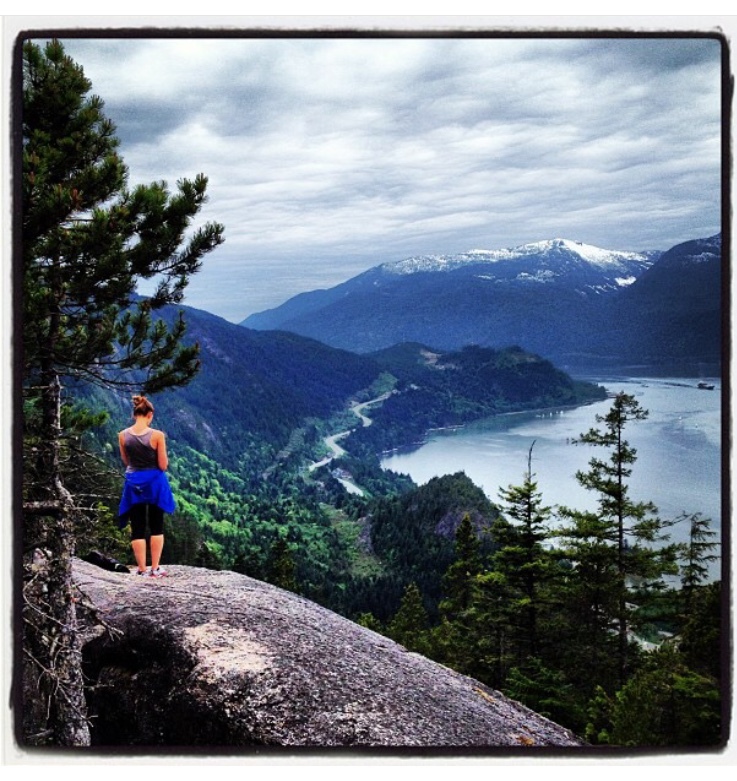 Chloë admiring the view of Howe Sound from Upper Shannon Falls. Hiking is my therapy. The combination of nature and exercise melts the stress away. Seeing incredible mountain views remind me of the big picture and how the little things really don’t matter all that much. Over the course of about a year or a little more, I did several hikes with Chloë for her book. My fitness level gradually improved, and I started spending (too much) money on gear and technical clothes because I knew I had finally found a hobby I was passionate about and would stick with. We ended up redoing some of the hikes so she could double check her notes and add in more details, and I was very pleased to see the progress I’d made in terms of fitness compared to my first time doing them. That’s another thing I find rewarding about hiking – you can really see how your fitness level is improving. Minnekhada is actually one of the first hikes I ever did, and when I do it now it really shows me how far I’ve come. I still have a ways to go but I’m proud of what I’ve accomplished so far. Part of trail at Minnekhada. It seems very shire-like for you LOTR fans. During these hikes, both of us were snapping pictures regularly, and then one day Chloë sent me an email asking me to give her approval to use some pictures of me for her book. And THAT my friends, is how I became a cover model! I’m also on four pages inside! You can (and should) buy Chloë’s book here. It features directions, summaries, statistics, route details, stats, pictures and maps for each hike. It also includes interesting facts, history or tips on nearby events or restaurants for some of the hikes as well. You can look up hikes by certain criteria such as being dog friendly. And, best of all – you can throw it in your bag and bring it with you for reference (your phone won’t work everywhere when you are hiking)! Not my best photo but here I am thrilled to get my copy of Chloë’s book. That’s me on the cover! The book is done and published, but we are still hiking, and I feel like I’m just getting started! Thank you Chloë for bringing me along, being patient with me when I was horribly out of shape, and making me a cover model! And most importantly, thank you for being such a great friend! 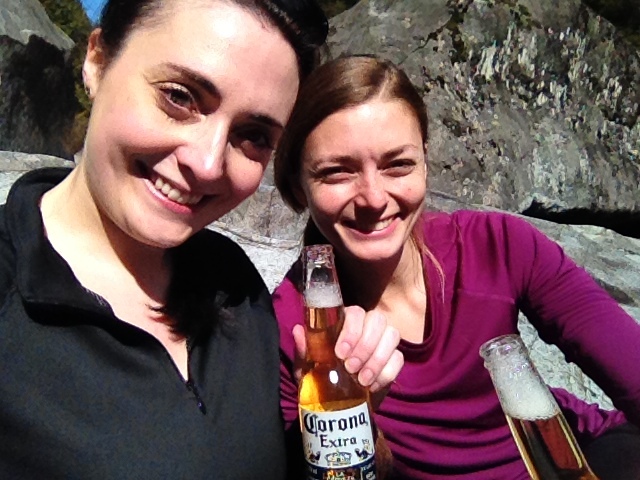 Chloë also has great ideas like packing beers to enjoy in the sun beside Widgeon Falls. So exciting! Congratulations. I enjoyed reading about your hiking journey. I feel inspired and hope to finally start doing some hikes in my area. The First Post - Who am I and what am I going to talk about?